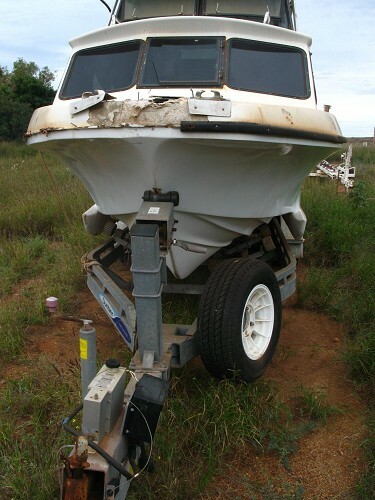 This is a Swiftcraft boat that was 7.3m and was refurbished 18 months before the damage occured. 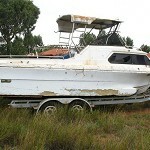 What was done to the boat???? Twin wave piercing hulls, floor height change to be a flow through deck. The Cockpit roof custom made and also the vessel was extended 800mm via the walk through tramsom Marlin Board, easy dive ladder made from Stainless Steel. 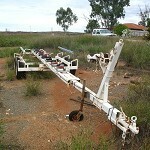 R/H side wing; damaged on the bottom of the wing all the way along the bottom, the L/H side wing is damaged from the rear end about 1.5m along the bottom. The cockpit roof is damaged along the R/H side. The R/H side Marlin Board boat side is damaged, se photos. Engine KAD35 Volvo Penta Diesel super charged and Turbo charged four cylinder engine has been submurged, water didn't make it to the inside of the engine, all sump oild drained and the whole engine has been filled with a mixture of oil and diesel right through to the top breather. The vessel has the Bow bollard ripped out of the bow and was submurged over night , it floated but on its side in about 3m of water, overnight it bumbed along the bottom damaging the Starbard side. 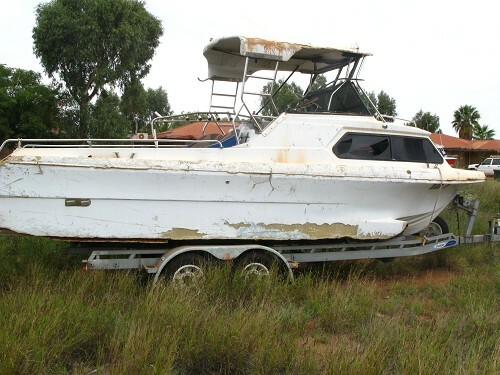 This boat is fixable so happy bidding. please feel free to contact me with any quiries. 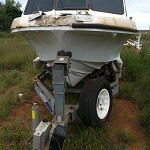 Please note that the trailer is the trailer in the photo and not the one sitting under the boat. 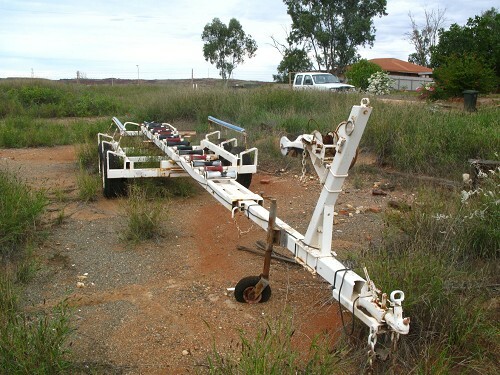 Check out the newish Dumbier trailer in my other auction. Trade2Cash will bid incrementally for you up to your maximum bid. Your maximum bid is kept a secret from other users.